We always put so much pressure on ourselves to look good, society certainly doesn’t help. However I believe looking your best is feeling your best. 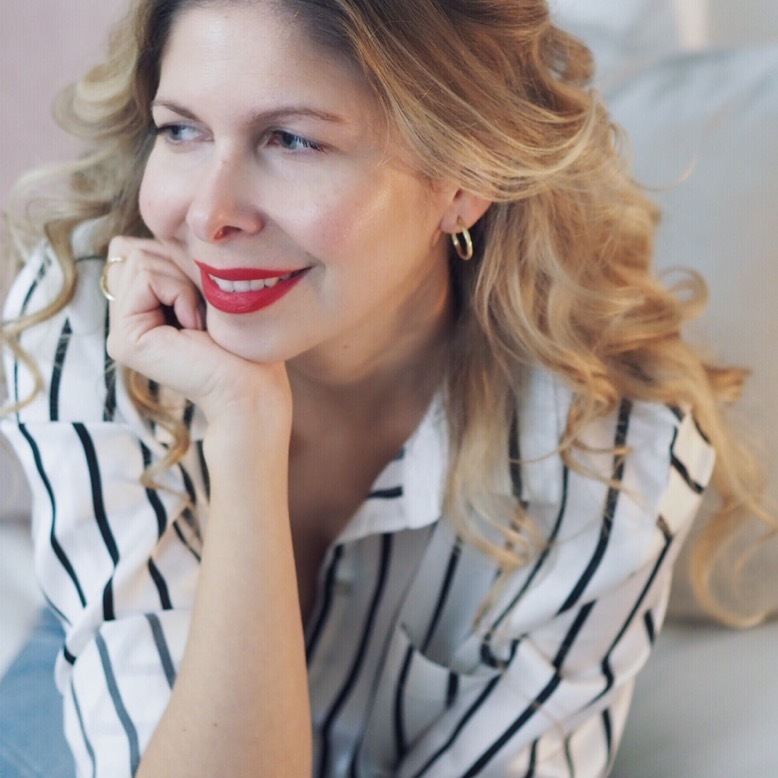 In doing so, that comes from within, so I’ve teamed up with nutritional therapist (and who happens to be my sister) Dania Trapani and asked her to give us some insight in leading a healthy lifestyle in order to achieve the five things that us women really want. Want Beautiful skin? Gorgeous locks? Stronger nails? A flatter tummy and reduce the dreaded orange peel? Well then this post has got you covered. It’s not about perfection so ignore the photoshopped images and concentrate on being a better version of yourself. Beauty comes from within and when you feel great you look great! Beautiful skin really does come from with in . I see so many women who spend endless amounts of money on beauty products, botox and fillers. Reality is if you are not taking care of your internal organs it will show on your face. Your face is a reflection of your diet and lifestyle. If you abuse your body with a poor diet, alcohol, smoking, over sun exposure and partying it will eventually catch up with you and show on your face. A healthy diet is key. Include lots of fruit and vegetables in your diet. Avoid all processed foods, sugar, pastries, cakes that put a strain on your liver. If you over load your liver you will have a sluggish metabolism. A healthy liver will result not only in a faster metabolism but beautiful clear skin. Include foods that are rich in beta carotene (vitamin A) like sweet potato, pumpkin, carrots and squash. Eat all vegetables raw or steamed. Include dark green leafy vegetables like kale, spinach, broccoli and watercress. Essential fatty acids are a must for good skin. Good sources include: Wild salmon, sardines, mackerel, nuts like almonds, hazelnuts, walnuts (not roasted peanuts. All nuts should be eaten raw), avocados, chia, pumpkin, sesame and sesame seeds and wheatgerm. Avoid excess alcohol and over exposure to the sun as this will age you quicker than you can blink. Sunlight is important for vitamin D however 15 minutes in the sun early morning is enough. Sunbathing during the hottest hours 12-3pm is not good for the skin. The sun dries the skin making it lose its elasticity. 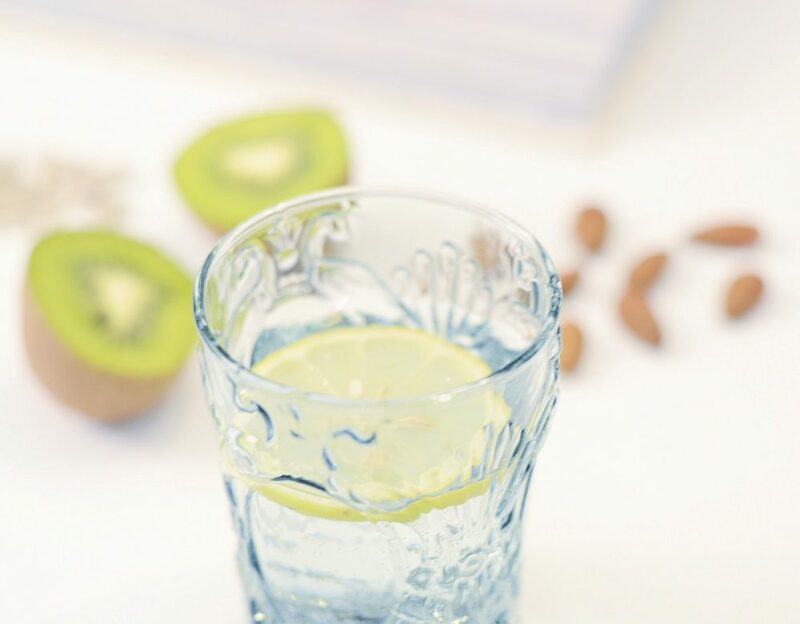 Always stay hydrated so make water your favourite drink. I know most of you are coffee lovers but too much caffeine dehydrates you so stick to one coffee a day. Remember to always keep your skin well moisturised. Vitamin C is a great antioxidant and is essential in producing collagen so include more kiwi fruit, sweet potatoes, berries, oranges, papaya, broccoli, kale, tomatoes in you diet an take a vitamin C supplant daily, Take 1000mg. Collagen is vital for skin health. You can find powdered marine collagen in health shops. You can put it in smoothies or in water. Higher Nature do a good one. Beauty tips for beautiful skin, stronger nails, glossy hair, flatter tummy and reduced cellulite from renowned nutritionist. Image via Getty. Hair is a very important aspect of our appearance and there is nothing more beautiful that seeing a full head of healthy shiny hair. However stress and an acid forming diet high in alcohol, sugar and caffeine can make the hair very dull. After child birth, menopause, hormonal imbalances our hair tends to thin. Stress can also lead to alopecia. If we do not get the right nutrients from our diet we will have a nutrient deficiency which will result in dull looking thinning hair. The health of the hair also depends on the circulation to the root of the hair this is why the blood needs to be full of nutrients. Chlorophyll oxygenates the blood and removes heavy metal toxicity. Green powder like wheatgrass, barley grass and chlorella are good to add to smoothies. Food for the hair: Green leafy vegetables like spinach, curly kale, watercress. Seeweed is very high in minerals. Good sources are Kombu and wakame. Essential fats are very good for a healthy scalp so include more oily fish like salmon, mackerel and sardines in your diet together with avocados, almonds, walnuts, brazil nuts. Pumpkin, sesame, sunflower and chia seeds. Good quality protein is also essential to hair health. Include more eggs, chicken, quinoa, tempeh, lentils, chickpeas and tofu. A healthy diet really is he answer to beautiful shiny hair. Taking the contraceptive pill can cause thinning of the hair so important to take B vitamins if you are on the pill. A good multi vitamin is also good for hair health alongside folic acid and biotin. A useful tip is to mix a little essential rosemary oil with jojoba oil and massage it into the scalp before going to bed leaving the oil on over night. Beauty tips for beautiful skin, stronger nails, glossy hair, flatter tummy and reduced cellulite from renowned nutritionist. Image via Imaxtree. No point painting our nails if we have brittle, dry and fragile nails. Nails are made up of protein so good quality protein in our diet is essential. Good sources include: fish, quinoa, tempeh, tofu, and organic red meat. Other good foods to include are: Avocados, brazil nuts, walnuts, sunflower, pumpkin and sunflower, sesame seeds. As mentioned already for healthy hair green leafy vegetables mainly kale, spinach and watercress. Sweet potatoes and cantaloupe melons are also good. Include silica rich foods in your diet like: peppers, asparagus, lettuce. Useful tip is to massage the nails with olive oil or almond oil and jojoba oil regularly. A multi vitamin and collagen supplement will also help. This is another common problem that affects us women and with summer not to far away we want to have a beautiful flat stomach for the beach. You want to avoid wheat, gluten, refined sugar and dairy. Check also for food intolerances. Keep a food diary and write down how you feel after every meal. Do not drink during meals. Drink either 30 minutes before or after. I have found probiotics to be the best remedy for a flat stomach. Take 1 each morning before breakfast. Good foods are: parsley, fennel, radicchio, water cress and dark green leafy vegetables. Include fresh root ginger in all cooking. If you are cooking lentils and all beans that can cause your tummy to bloat then try cooking them with a strip of dried kombu which is a seaweed. And finally do not forget to get crunching into shape. Exercise is important. Cellulite is every girl’s worst nightmare. I may be naturally thin but I too have fallen victim to the orange peel in the past. Over the years I have discovered that the most effective way to combat cellulite is through diet and exercise. Cellulite is fast found beneath the skin caused by and accumulation of toxins and water retention in the body which weaken the connective tissue found below the surface of the skin. This is why cellulite has that bumpy texture. The main causes of cellulite are poor diet, hormonal changes, not drinking enough water, having a sluggish liver which equals a slow metabolism, fad diets, being over weight and a sedentary lifestyle. Avoid all foods that place a stress on the live and the lymphatic system. If you are overloading your liver and the lymphatic system gets clogged up, then you are not allowing the body to remove toxins. I always say if you look after your internal organs you will glow on the outside. Avoid all fried foods, all processed foods, foods cooked in rich sauces, all full fat dairy. Sugar is the big poison so stay away from it as well as refined white carbohydrates like white pasta, bread, all sweets, pastries, cakes, biscuits, pies and all ready made foods. Salt is another no no. Avoid sodium based salts. Too much salt results in water retention. I have experienced this personally. If I eat too much salt I suffer from terrible water retention. I noticed a huge difference just by avoiding sodium based salt and having a very small amount of himalayan salt or nori flakes instead. Alcohol is another big no. It is so bad for the liver and as mentioned before, a congested liver will result in toxins and cellulite. Foods to include in your diet: Plenty of fruit and vegetables. Cook everything from scratch yourself. Include fiber so that toxins are able to be eliminated quickly rather than stored in the body. Good foods are lentils, beans, chick peas, tofu and brown rice. Include plenty of organic seeds and nuts in your diet. Good sources are: chia seeds, flax seeds, sunflower, pumpkin, sesame and linseeds, almonds, brazil nuts, selenium nuts and walnuts. Include essential fatty acids in your diet like: Wild salmon, avocado and flaxseed oil. Eat everything steamed or baked. Half of your plate should always be just greens. Make sure you drink plenty of water to flush out all the toxins. Drink more green tea and herbal teas. Useful supplements to take: The most effective remedy I have found for cellulite is Cantella Asiatica also known as Gotu Kola. Take 500mg 3 times a day for 3 months. I would also recommend a good quality multi vitamin suitable for your age and take vitamin C on a daily basis. To tackle cellulite alongside a healthy diet you also have to increase circulation an lymph drainage. Lymphatic drainage massage is fantastic for cellulite and removing toxins for the body. If you cannot afford a massage every week skin brushing before jumping in the shower is also very effective. Get a skin brush and start from your feet moving upwards towards your heart massaging your body in circular movements. This is very effective. Wow, lots of great tips! My nails are a bit of a problem area, but I have a load of spinach in the freezer, so will get munching on more of it!